Tennis Gear | Shoes, Racquets, Bags, Strings, Equipment & More! 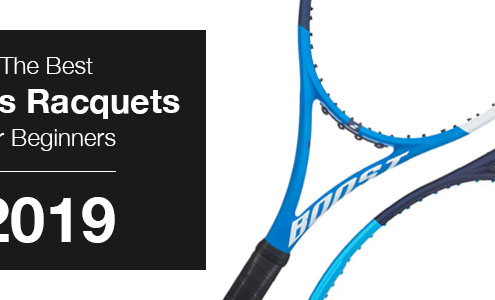 Browse all your favorite gear including racquets, strings, shoes, bags, equipment & more! 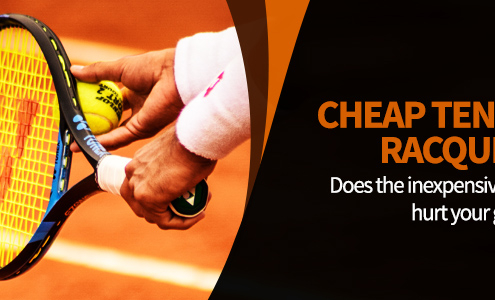 Cheap Tennis Racquets: Does taking the inexpensive road hurt your game? https://tenniscompanion.org/wp-content/uploads/2018/10/cheap-tennis-racquets.jpg 300 720 TennisCompanion https://tenniscompanion.org/wp-content/uploads/2013/06/tennis-companion-logo9.png TennisCompanion2018-11-01 05:19:582018-12-20 06:26:12Cheap Tennis Racquets: Does taking the inexpensive road hurt your game? Whether you’re just getting started with tennis or you are an experienced player, having the right tennis gear can make all the difference. From selecting your tennis racquet and strings, to having the right pair of shoes, your equipment is one of the few things you have complete control over. As such, it’s important to take the time to learn about your gear so you’re properly equipped to perform at your best. Your tennis racquet is without a doubt one of the most critical pieces of tennis gear you can purchase as a player. Beyond simply enabling your participation in the sport, it can have a tremendous impact in your overall success and enjoyment, especially when you’re first getting started. One of the great parts about tennis racquets is that there is a wide array of racquets to help players of all ages, levels and styles get the most out of their time on the court. 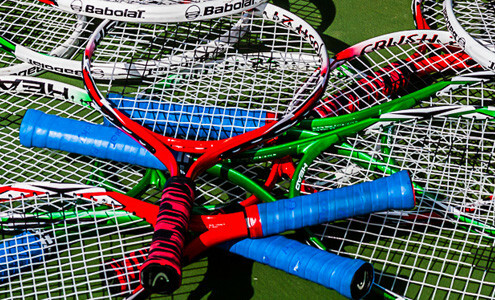 The most common types of tennis racquets include power, control and tweener (or in-between). Each type of racquet exhibits a fairly common set of characteristics designed to appeal to different players at different stages. For example, power racquets are typically designed to be lighter, with more power and larger head sizes, which can be great for beginners to help make the racquet more maneuverable and easier to hit with. As your level of play progresses and your style evolves it’s common for players to upgrade their racquet to make sure it compliments their game. So, if you’re just getting started and your father dusts off his old Wilson Pro Staff 85 (a heavy relatively flexible frame that provides great control yet very little power) which Pete Sampras used to dominate the field in the 90’s, you may want to politely decline and ask for his help in finding a racquet that will better suit your level of play. For many, it is very common for strings to be an afterthought rather than considered an integral part of a player’s tennis gear. As players we’ll search high and low to find the perfect racquet, but when it comes to stringing our racquets very little thought or emphasis is placed on the strings, even though it’s the very surface that makes contact with the tennis ball. Instead, most players will go with the cheapest set of tennis strings or whatever their local club or tennis shop has laying around. However, strings are equally as important as the racquet itself and can have a tremendous impact on a racquets overall performance. If you think about it a racquet strung with fishing line at an extremely loose tension, say 30 lbs, rather than the recommended 50-60 lbs for a particular racquet, will be borderline useless. You’d have almost no control, very little power, the feel would be terrible and it may only take a few hits to break the strings. As a result, tennis strings come in a variety of materials, construction as well as gauge (the thickness of the string) and can be strung at different tensions to produce a drastically different hitting experience. And just like finding the right tennis racquet is critical, it pays to recognize that not all strings are created equal and to learn as much as possible about strings to get the most out of your tennis racquet. Another important component of a tennis player’s gear is their tennis shoes. While most new players have a tendency to use whatever they have in their closet, tennis shoes have been specifically designed to provide players with stability, comfort, traction and the durability needed to last. Without a doubt one of the most critical aspects of a good tennis shoe is the stability they provide to help keep you injury free. Generally speaking they are more rigid than your average shoe to support your feet and ankles during the vigorous back and forth and side to side movements that your body will experience while playing tennis. Compare this to a running shoe that aims to be light and breathable, while exclusively helping facilitate forward movement as you run. If you’re running that’s perfect, but if you’ve ever tried to do some fancy footwork in a pair of running shoes you’ll quickly recognize how little support they provide with sharp or lateral or side to side movement. A tennis shoe will also provide you with a level of comfort to support help support your body while playing. Tennis, which is most commonly played on hard courts, can be particularly hard on a players body and tennis shoes are also designed to help absorb impact to keep you comfortable and injury free. Furthermore, the soles of tennis shoes are designed to provide players with solid traction during rigorous stop and go movements and you’ll find the soles are extra durable to stand up to the pounding they’ll receive while scrapping or dragging across tennis courts. Tennis shoes are also designed to be non-marking. If a shoe is not labeled as a tennis shoe or more specifically non-marking, it will almost certainly produce black or white scuff marks as you scurry across a tennis court. Most public courts will put up signs saying non-marking soles must be worn, but you can consider it a hard requirement at any club or private set of courts. While your tennis gear can have a tremendous impact on your overall success, it’s important to note that no amount of gear can compensate for lack of practice and regular match play. Rafael Nadal could step out on a court barefoot with a toy racquet and still beat 99% of players because he’s developed the skill and technique to point where his racquet, strings and shoes only enhance his level of play, but they’re not what make him great. So take the time to find the right equipment. It will save you a ton of frustration on the court, but remember, it’s only part of the equation to becoming a great tennis player.